This was my second time through Jamie Smith’s wonderful little introduction to Reformed theology. It is a quick read that covers a lot of ground. Smith models his book after Christopher Hitchen’s Letters to a Young Contrarian and George Weigel’s Letters to a Young Catholic. Unfortunately, Smith’s attempt at the form suffers (at least to my taste) from too forced an effort at engaging in an imaginary dialogue. While most books in this vein are comprised of letters that only briefly allude to the interests or questions of an imagined correspondent, Smith’s letters engage more thoroughly with the imagined half of the correspondence. I find this dependence on the other half of an exchange more frustrating than illuminating. That being said, the content of the book is excellent. 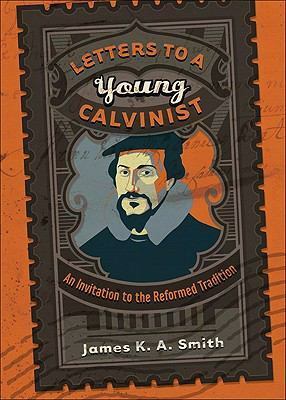 Smith sketches a vision of Reformed theology that stretches far beyond the usual preoccupations with questions of how an individual is “saved.” According to Smith’s vision, Reformed theology is a vital, comprehensive, and flawed tradition that serves as an excellent starting point for seeking a greater expression of the catholicity of the entire Church. Annoyances with the style aside, this is a sophisticated, accessible, and personal expression of Reformed theological tradition. I’ve been meaning to get to this book for a while. John Milbank is the primary thinker behind the theological project known as “Radical Orthodoxy.” A major part of the RO project is to reposition theology as the “queen of the sciences,” and to allow classical Christian theology to function as the “organizing logic” of reflection in academic, political, and social life. Milbank’s goals truly are “radical,” and in The Suspended Middle he co-opts the twentieth century theologian Henri de Lubac to help make his case. Henri de Lubac was a French Jesuit and a major figure in the nouvelle théologie, a movement which sought to reinvigorate Catholicism through engagement with patristic and medieval sources. Milbank focuses on de Lubac’s controversial book, never published in English, Surnaturel. The book critiqued the dominant modes of reflection in Catholic theology and received much criticism. Milbank notes that after this publication, de Lubac, branded by some as heterodox, had to express his more original points with great caution. He explains that de Lubac’s “crucial views were now always expressed indirectly, through historical interpretations” (8). Milbank has not come under quite the same scrutiny as de Lubac, but his views are similarly controversial. In this book he borrows de Lubac’s methodology and advances his own theological agenda by a historical interpretation of the de Lubac’s writings. De Lubac opposed the notion that there are two distinct and separable realms – the “natural” and the “supernatural” – that can each be comprehended on their own terms. Instead, as Milbank says, some of the essential components of de Lubac’s thought were the notions of “spirit and grace as inseparable,” and of “the orientation of the cosmos as such to the supernatural” (53). This “supernatural end of the natural” is an important theme of the RO project. By engaging with de Lubac, Milbank does much to substantiate the legitimacy of his own theological impulses. He articulates well the paradoxical nature of de Lubac’s work. He also effectively shows how de Lubac’s orientation toward the supernatural informs his approach to evolution, scriptural interpretation, and ecclesiology. Though it is brief, Milbank’s book is very dense. There are passages which are virtually incomprehensible – some of which is a product of the necessary use of a rarified academic language, but some of which seems simply convoluted. However, despite its occasional obscurity, the book is an important and fascinating study by and about two important figures in the contemporary theological scene. The Syndrome by Ridley Pearson with Brooke Muschott (as Jess) and Elizabeth Hagenlocher (as Mattie) is a new Kingdom Keepers adventure. The Kingdom Keepers is a series of seven books written by Ridley Pearson involving five teenagers who serve as holograms on the Disney properties. In book seven in the series, the five teens known as the Kingdom Keepers saved Disneyland from the Disney villains. 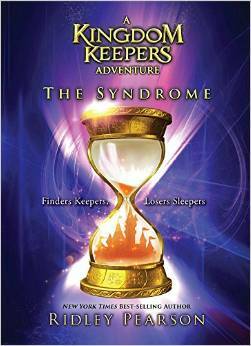 In this new adventure, all five Kingdom Keepers are stuck in Sleeping Beauty Syndrome (SBS). SBS means that the teens bodies appear to be sleeping, but their holograms are separated from their bodies and must be returned for the teens to wake up. Three friends of the Kingdom Keepers, Amanda, Jess, and Mattie, must try to locate the holograms and return them to their sleeping bodies. The three friends of the Kingdom Keepers all have special powers. Amanda is telekinetic. Jess has dreams which provide clues to the future. Mattie can read minds. All of these powers will be needed to save the Keepers. The Syndrome is interesting and appears to be an introduction to the new Kingdom Keeper series. However, the novel was not well edited. There were words missing or in the wrong order. I found the mistakes disappointing. However, I am looking forward to reading the next Kingdom Keeper novel, The Return: Disney Lands. In this book Christopher Hitchens’ writes about his fight to be one of the small percentage that would overcome his diagnosis. This famous orator is struck down with esophageal cancer when he begins his American book tour. 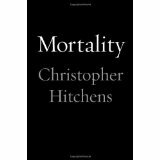 Hitchens’ refers to his last months as “living dyingly”. I found this book jolting at times. It was hard to read about the amount of pain involved in his life the last 19 months. He is realistic about his diagnosis, however, he retains a hopeful enthusiasm for alternative treatments. He points out how simple questions can be taken so literally when one is faced with a limited number of days left in their life. A question, such as, I’ll be in town next week will you be around to meet?, takes on a whole new depth in this context. His wife, Carol Blue writes an afterword in the book recounting some of their “flawless” days. She misses the sound of his voice, the variety of tones that his voice made throughout the day – from the first waking low octaves to the night time whispers. A body is found in the early hours of a cold December morning at an athletic field on MIT’s campus. Dr. Scarpetta, the chief medical examiner for the Boston area, is called to the scene. The body is wrapped in an off-white fabric with an unusual texture. There is undefined fine dust all over the body. Dr. Scarpetta notices the body’s posture resembles the victims of the Capital Murderer case her FBI husband Benton is currently working on. Has the killer moved from DC to Boston? Dr. Scarpetta finds the killer’s DNA from the victim’s body. The DNA presumably belongs to a missing murder suspect from 17 years ago. The story gets complicated when Dr. Scarpetta’s niece Lucy is implicated in the case. Lucy’s cell number was discovered on the log list of the victim’s cell phone. Benton is suspicious of his FBI boss’s involvement of both cases. Continually there is tension between Dr. Scarpetta and her old partner the grumpy detective Marino. Only this time Marino is working for the Cambridge Police Department instead of the medical examiner’s office. The story has enough twists and turns to keep me engaged. I feel that the author could’ve spent less time on the dramas between the characters and more time on the story. It’s a good read, not great. Food! · In the Library · Jean R · Mystery · Quick Read! Double Fudge Brownie Murder by Joanne Fluke is the most recent novel in the Hannah Swensen Mystery with Recipes series. In this book, Hannah Swensen must appear before a judge as a result of an accident that occurred in the previous novel, Blackberry Pie Murder. Unfortunately, the judge is murdered with one of Hannah’s half-eaten double fudge brownies on his desk. Hannah becomes a suspect in his murder. She and her two sisters along with a few other friends try to track down the real killer. In many of the Hannah Swensen Mystery series books, Hannah has two men who want to marry her. In Double Fudge Brownie Murder, Hannah adds a third suitor. The competition between the first two suitors was getting a little old. Adding a third suitor gives the series a little more interest. For a while now, this series seems to have gotten to be more about recipes and less about mystery. Since I don’t bake, I usually scan through the recipes. So, the books become a pretty quick read. I’ll continue to read the books in this series, but mostly to keep up with the characters. The mystery is just an added bonus.